Like Gabriella in Barcelona, I too have received several emails wondering what my ideal foodie day in Lisbon would consist of. And although Lisbon is comparatively smaller than Barcelona, the options for encountering incredible food and wine experiences are both various and plentiful. So allow me to take you on a tour of Lisbon taken primarily from my experience visiting the city 3 years ago by none other than a local native Portuguese. In this tour, you’ll explore Lisbon’s high-end, riverside district of Belém (pronounced “buh-limeâ€) followed by a tour of Alfama, and ending at Sao Jorge’s castle at sunset. Once you’ve savored your deliciously sumptious breakfast, get on the metro and take the blue line down to Terreiro do Paço, which brings you out by the riverfront and near Praça de Comercio. Normally, this is a great place for photographs, but unfortunately, the plaza is going through some necessary repairs at the moment. No worries though, because you’re going to hop on the giant #15E tram that stops in the plaza and heads towards Belém! The trip will take you approximately 20-30 minutes ride. Don’t get off at the Belém stop, however, but the following one, Mostreiro dos Jeronimos (Jeronimos Monastery), planting you directly infront of this historical and beautiful monastery. This is one of the most astounding and breathtaking visions you’ll experience in Lisbon, and absolutely worthy of your visit. But if you want a faster and more scenic trip to Belém, rent a GO-CAR! This American imported tour company located just off Comercio Plaza on Rua dos Douradores has a 2-person, yellow motorized cars for rent that allow you to take GPS-guided tours throughout the city in less than half the time it would take you on foot and public transport. And on its Belém tour, you drive down the riverside passing several monuments along the way, including the Mostreiro dos Jeronimos. And when you feel inspired to stop, simply park the car, lock your things in the trunk and go explore whatever catches your eye. Transportation aside, after you visit the Mostreiro dos Jeronimos, cross the street, passing through the garden, and head towards riverfront (there’s a walking tunnel that goes under the train tracks) to visit the Monument of the Explorers. This monument is renowned for its magnificent sculpture work of celebrated Portuguese explorers. But the secret to this sculpture is the stairwell leading up to the rooftop, allowing you an incredible view of the city and the river! This is a must-do for some great photos. After the Monument of the Explorers head down the riverfront to visit the Belém Tower, the old military naval tower that was once located in the middle of the river back in the day. 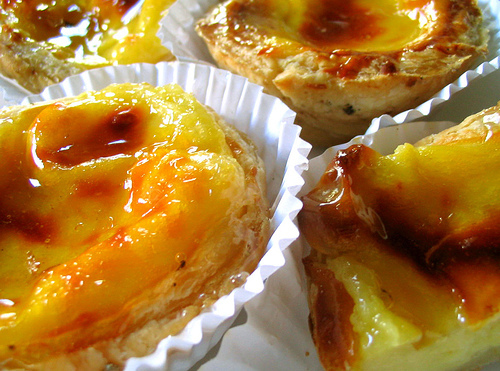 After lunch walk back across the street to have your dessert and coffee or glass of Port at the famous Pasteis de Belém to savor their historically popular egg tarts. You can assume there will be a line, but it’s worth it! Afterwards, hop on the tram again (or your Go-Car) to head back into downtown Lisbon and get off at the last stop in Praça de Figueira. Take some time to walk around the plaza, while taking advantage of the adjoining plaza Praça de Rossio for some great photo opportunities. You’re also in luck this time of year because Oct-Jan. is chestnut season in Portugal! So you’ll find several street vendors parked all around these plazas selling fire-roasted chestnuts wrapped in newspaper for 2 euros a dozen. These make for a toasty-warm delicious snack to munch on along your way as you go back to Figueira Plaza to take the #37 bus (or the Go-Car Alfama tour!) up to São Jorge Castle. Now you can actually visit the Castle on Sunday mornings for free, but for only 5 euros, you can visit it in the late afternoon, which is the ideal time to catch the blushing sunset blanketing the city. If you still have a bit of light left after the castle, walk down to the main road that goes through Alfama and get on the old- fashioned #28E trolley, this time for a scenic ride through the rest of Alfama (or finish your Go-Car tour) then continue on it back down. Medium Energy: Take the blue and red line metro to Expo Plaza and walk to Casino Lisboa for dinner at Suite Airoldi which offers dozens of mini-dishes and tapas-like portions in a lounge, “hotel suiteâ€ designed dining room with a dance floor. Finish off the night by catching a live performance at the casino, or simply continue your evening stroll along the water’s edge. Low Energy: Stay in the Alfama neighborhood and walk down towards the river to Rua de São Miguel, considered the Fado district. Fado bars/restaurants normally have a minimum cover charge if you go for the music; consequently, it’s worthwhile to skip the cover charge and have dinner there to begin with. The cozy, romantic S. Miguel D’Alfama Restaurant and Fado bar located at the top of that street, andÂ is my personal favorite for having a traditional Portuguese dinner with Fado music in the background. Owned by the renowned Fado singer, Fátima Moura (who often does some singing herself), it’s worth the visit. Lisbon is a city full of tradition and old-fashioned charm. Thus, you’ll have no issues finding plenty of experience no matter what you choose to explore. 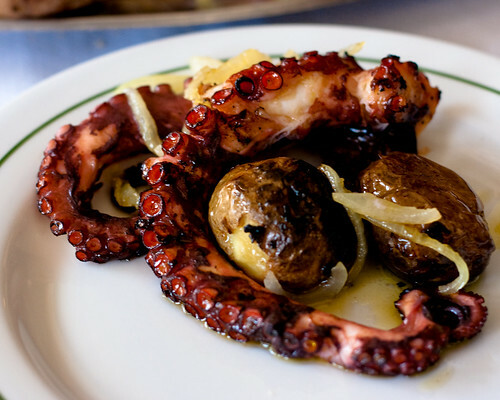 The Portuguese have a very relaxed culture that boasts of their homemade style comfort food and Fado music. In short order, you’ll feel more like a family member than a distant tourist, which only makes you long to come visit again soon. We’ll be posting more attractive options in the near future and if you any suggestions or alterations to this day’s itinerary, please let us know!